Hyland’s has been making safe and natural homeopathic medicines since 1903, and after a quick look at its latest magazine ad, seems to be rather dad-friendly. It’s nice to see a dad featured prominently in its ad. But take a close look and read the copy. Why doesn’t it speak to dads? Now glimpse at hylands.com and click on “Calming Tablets,” and you’ll find a similar mom-only reference. 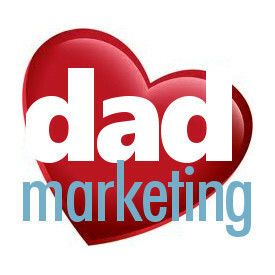 Those are some disappointing dad omissions for an otherwise decent overall marketing approach. Generally, Hyland’s seems to try to use “parent” references, so these nuggets caught us a little off-guard. Hyland’s talks about party invitations here, a symbolic reminder that dads want to be invited to the “party,” too. They take care of babies and have plenty of choices when it comes to baby care products. So why should Hyland’s give them a reason to go anywhere else? Parenting isn’t a mom-only thing, and mom isn’t the lead parent, regardless of what any particular family’s situation may be. It is the responsibility of both parents to raise a child, and that equality has never been more prevalent than it is today. The Hyland’s example is an exhortation for any company looking to increase sales: don’t forget your customers, and they won’t forget you.